There’s a lot to find and carry in Fallout 4’s wasteland. Use this helpful guide to improve your carrying capacity and determine what to keep and what to leave behind. When it comes to the world of Fallout 4, there’s nearly no end to how much stuff players can find and take with them as they journey around the Bostonian wasteland. However, there is a limit to how much players can carry, which makes choosing what to carry an important consideration, especially since many of those items can be used to enhance gamers’ experience in Fallout 4. To help gamers determine what to carry, and be able to carry more, we’ve put together the following guide. The best way to improve carrying capacity is to level up the Strength Perk in Fallout 4, since it determines how much players can carry. Of course, with so many other perk options in the game, it can sometimes be hard to justify dumping all level points into Strength. However, it’s important that players continue slowly building up the Strength stat over the course of the game as more and better materials and weapons become available. A good judge of when to add points to Strength is how often players find themselves maxed out with items. If players have to constantly dump items, especially high-quality items like strong armor or powerful weapons, it’s probably a good time to increase the Strength stat. Armor can weigh a lot, but it can also help players carry more items. As players craft armor, they should consider adding pockets to help negate the weight of the armor itself. For instance, metal armor that has a weight of seven can have pockets that increase carry threshold by five, making the armor only cost a weight of two. Using this method, players can bulk up their metal armor without losing out on other important carried gear and weapons. Additionally, players who are still early in the game should focus on wearing and strengthening leather, cloth, and plastic armor. Heavy metal armor isn’t needed until later in the game, or if players plan to search for rare or unique items guarded by strong baddies. Slowly building up armor along the way will allow players to balance their inventory without any major single blows to capacity. 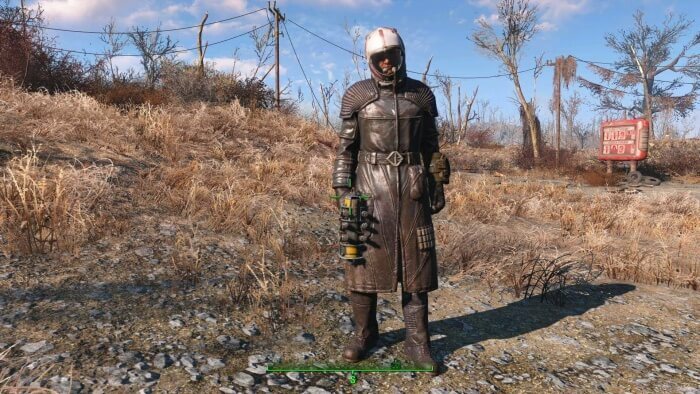 In conjunction with regular armor, players should make use of their Power Armor. 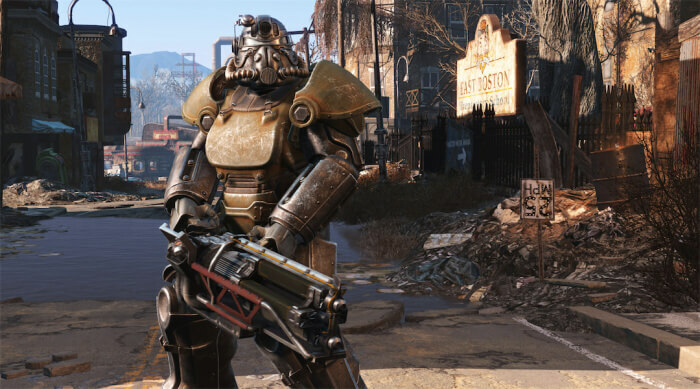 Power Armor greatly increases the carrying capacity for players while they’re roaming around Fallout 4. However, we recommend players reserve using the Power Armor for times they greatly need it since the Fusion Cores required to run the Power Armor expend fairly quickly and can be hard to find. With that in mind, we recommend players use their Power Armor when going on material runs, especially if they know where they want to go. So those looking to build up their base, or who are wanting to craft a specific item, put together a plan of attack, suit up, and head out. Additionally, it’s a good idea to keep some Fusion Cores in reserve for major battles where the Battle Armor and heavy weapons will be crucial. 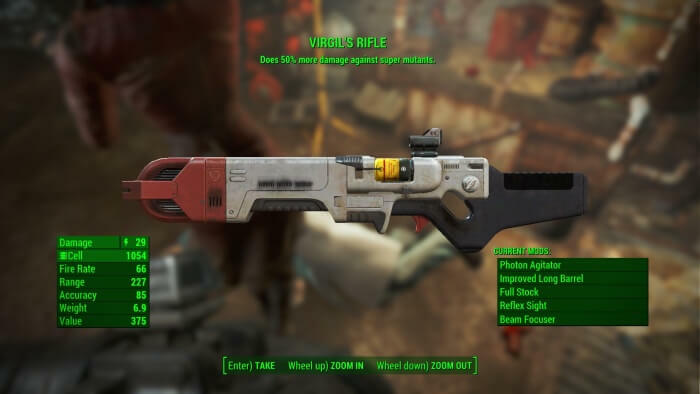 There are plenty of weapons for players to nab as they adventure through Fallout 4. It can be tempting to pick up and carry every weapon players come across, especially early in the game, but it pays to be selective. Having many of the same weapon won’t necessarily benefit players, and since they may not be worth a whole lot, it doesn’t make sense to lug them around the map. Instead, we recommend players review their weapon stockpile periodically to see what they can keep and decide what they can leave behind. Again, don’t feel guilty for offloading weapons along the way, there are many other unique weapons worth holding onto. It also helps to decide which weapons to keep based on what ammo a player has a lot of. 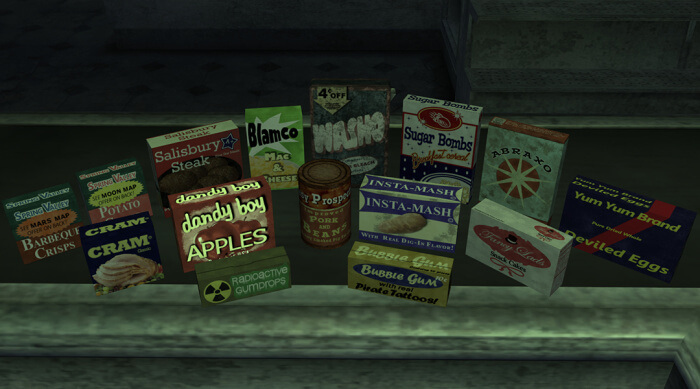 With so many enemies roaming post-apocalyptic Boston, it’s understandable when players want to horde aid items like food, Stimpaks, and RadAway. Not having aid when it’s needed can be frustrating and disappointing. That being said, be mindful of what aid will be most beneficial during the journey, and what can be dropped. Powerful specialty items like Stimpaks and RadAway are worth their weight, but items like Nuka Cola may not be. Also, if something can’t be cooked or will do more harm then good, ditch it, you’ll thank us later. 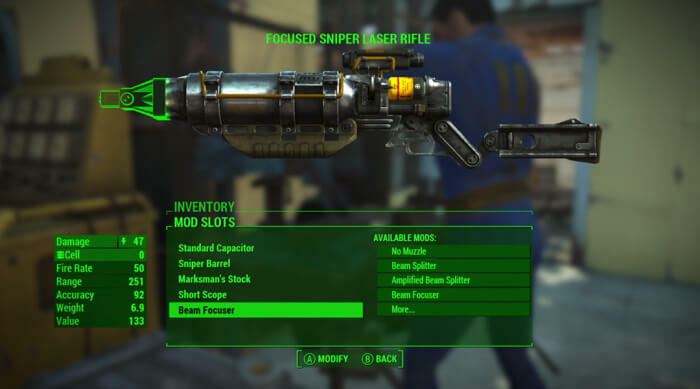 As players upgrade, they can remove mods from their weapons. This is useful as players look to enhance their firearms with better mods and attachments. But it’s important to remember that when a mod is removed, it stays in a players inventory, and in most cases players aren’t going to reuse those mods. So don’t hang on to them. Additionally, make good use of gathered materials by creating mods and enhancing buildings. This will help keep players’ inventory balanced and focused on what’s needed most for players to progress and succeed through the game. Companions can carry items on behalf of players, including the heaviest items in a players’ inventory. So hand over the Fat Man and mini gun to a companion and let them shoulder the load. Those items will be readily available when players need them, so long as players aren’t jumping between companions too often. Those who prefer to journey through the wasteland alone can make use of the Lone Wanderer Perk, which allows players to 50 extra carrying capacity when they travel alone. 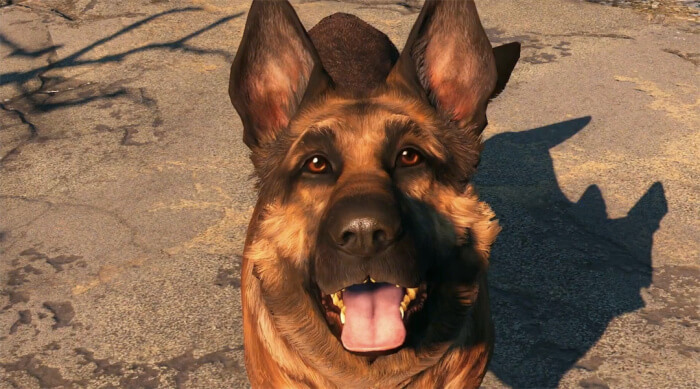 At the moment, the perk works even when Dogmeat accompanies players, so we highly recommend using it if players plan to keep man’s best friend as their companion. As players traverse the Bostonian landscape, they may discover other ways to make the most of their inventory. 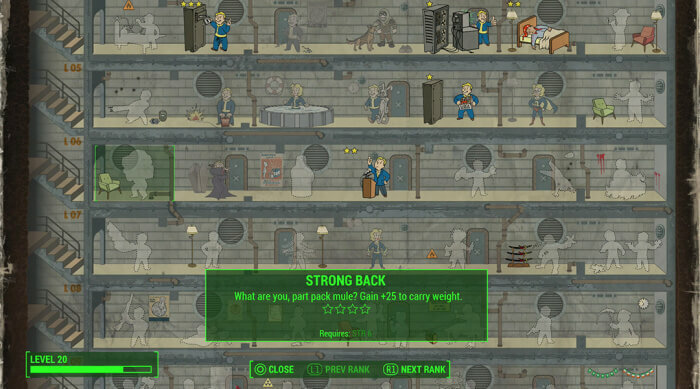 Do you have any suggestions not mentioned above that can help players improve their carrying capacity in Fallout 4? Let us know in the comments below. 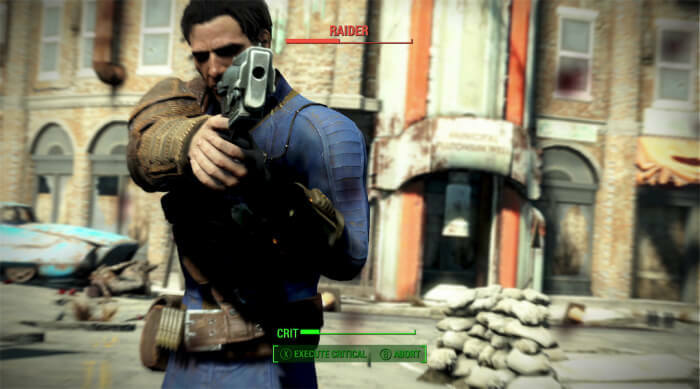 Fallout 4 is available now for PC, PlayStation 4, and Xbox One.